Hide deals from seller "Nothin' Fancy Grass Cutters"
Hide deals from category "Landscaping"
Limit 1 per person. Valid on lawn winterization and spring service. By appointment only. Promotional value expires 30 days after purchase. Prepare your lawn for harsh winter weather with 50% off lawn services from Nothin’ Fancy Grass Cutters, available within 20 miles of Tinley Park ($400 value). Experienced lawn techs will aerate and fertilize your lawn in both the fall and the spring, enriching the soil and ensuring a lush green yard once winter passes. Nothin’ Fancy Grass Cutters began as a summer job and blossomed into a business opportunity for owner William Leonard more than six years ago. The experienced lawn techs of Nothin’ Fancy offer high-quality services like mowing and edging, and their goal is to make sure the grass always looks greener on your side of the fence. Liven up your lawn with this deal. 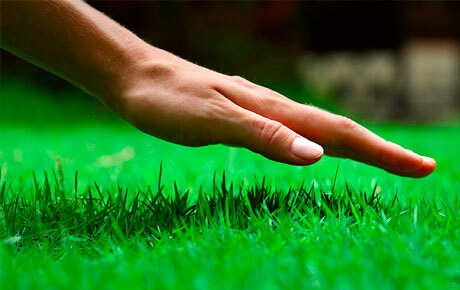 Lawn maintenance business in Tinley Park offering a variety of services.